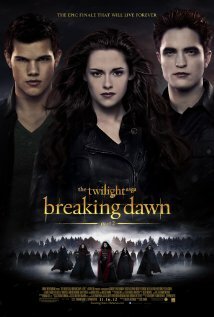 You are currently browsing the The Movie Mark blog archives for April, 2013. The magical press row. Pass counterfeiters. Bathroom solicitations. I’ve seen about everything at advanced movie screenings. Yes. There was one guy who would regularly approach me in the bathroom at a screening and pitch me his idea for an Avengers movie. We’ll get to the full story soon. One of the first things I’m asked by friends and acquaintances when they find out that I attend the advanced movie screenings as a member of the press is, “What’s it like?” Oh it’s like 20 shades of magical, hilarious, and strange all melded into one glorious experience. You’ll be happy to know that I’ve decided to declassify my experiences and share them with you – my faithful readers. That’s right; all seven of you. The stories will be a recollection of my personal experiences combined with a fusion of real-life characters who sound too outlandish to be true. As the old saying goes, truth is stranger than fiction. You’ll laugh, you’ll cry, you’ll applaud. Or hopefully at least one of the three. Stay tuned. I’ll debut my first confession next week. for more info. You can view the trailer below. Plot: Native American warrior Tonto (Johnny Depp) and man of the law John Reid (Armie Hammer) are opposites brought together by fate and must join forces to battle greed and corruption. Growing up, I was a huge fan of The Lone Ranger, so you’d think news of a movie would excite me, right? Well, the problem is I don’t trust Hollywood. I don’t trust ol’ H-town in general, but my skepticism kicks into high gear when my childhood memories come into play. And let’s be honest – the sting of the CW’s Chad Michael Murray version was still fresh on my mind, despite the fact that was 10 years ago. I saw the casting choice of Johnny Depp as Tonto to be an inspired one, but Armie Hammer as the man behind the mask? Eh, I wasn’t sold. He was fine in Reaper and the Facebook movie, but as the Lone Ranger? Call me biased, but I was hoping for Josh Brolin. Alas and alack, the man can’t star in EVERYTHING I suppose. Then came rumors of Werewolves, Wendigos, and budget delays (oh my! ), and I really lost interest. In fact, I haven’t kept up with the movie since. Werewolves and Wendigos were the rumors, as mentioned above, but my brother informed me that he didn’t think it had anything strange like that, and he said the trailer looked pretty good. So I went ahead and watched all three trailers, and I have to say it looks like it’ll be a fun, CGI-heavy, popcorn-munching Summer blockbuster in the vein of Pirates of the Caribbean. I can live with that. I know some were hoping for a dark, gritty take, but come on, let’s count our blessings – werewolves and Chad Michael Murray are nowhere to be found. Check out the latest trailer below and let me know what you think. 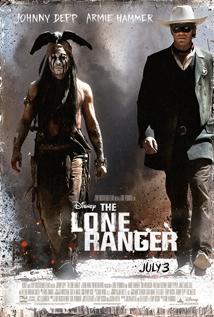 The Lone Ranger will hit theaters on July 3rd.